These sandwiches are perfect for a warm summer night. 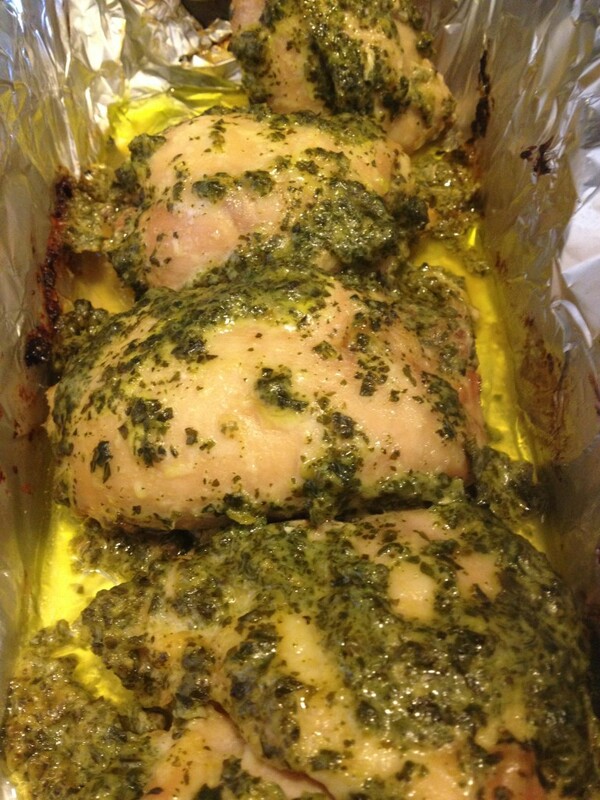 The chicken can be made a day ahead and either re-heated or served cold day of. Invest in a good, quality French bread, it makes all the difference in this recipe. 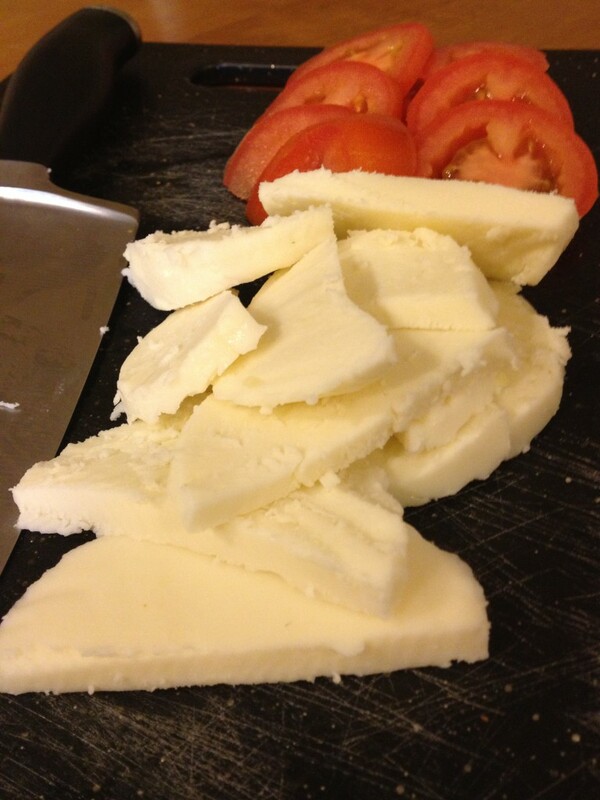 Super fresh mozzarella and vine ripe tomatoes – perfect combination. 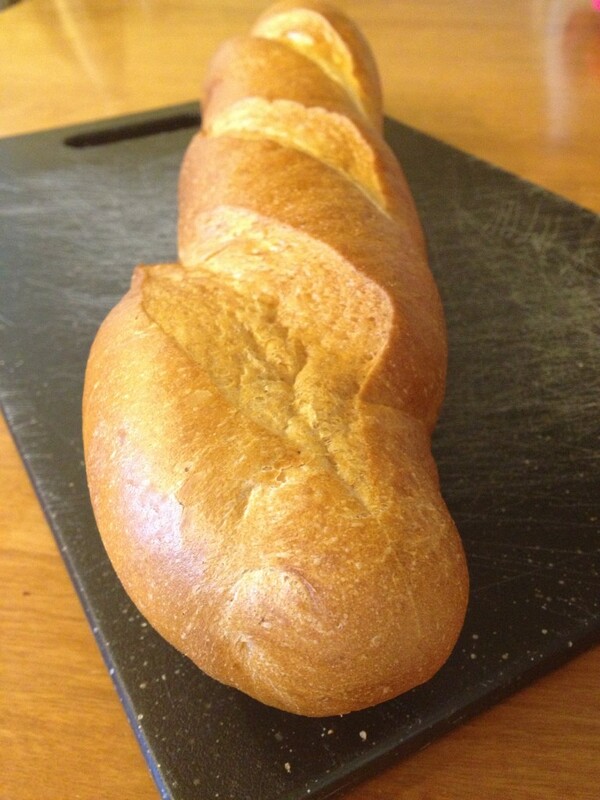 Delicious, fresh French bread – it makes all the difference. 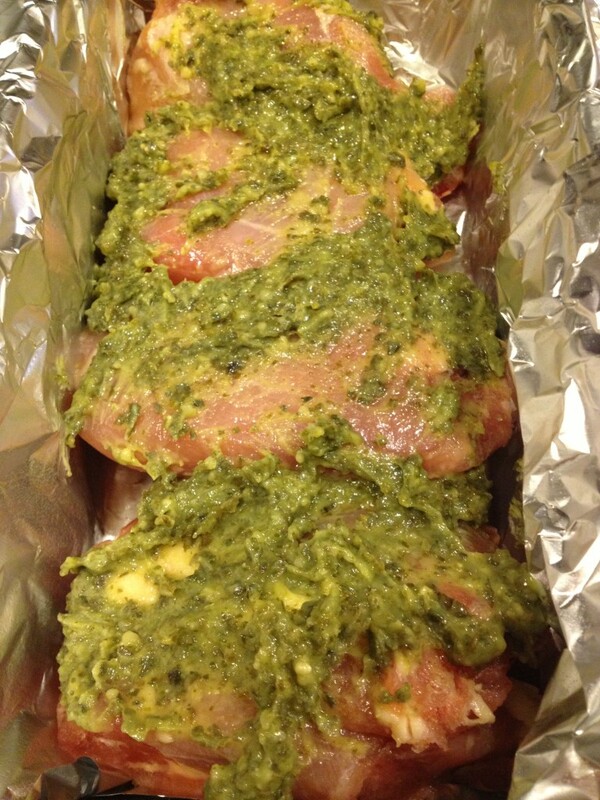 Rub chicken thighs liberally with pesto and place in a shallow, foil lined pan. Baked for 30 – 35 minutes until cooked throughout. In a medium bowl toss spinach with balsamic vinegar and olive oil. Season with pinches of salt and pepper. Toss well to combine. Thinly slice chicken thighs and reserve any pan juices. Brush the insides of the bread with some of the chicken pan juices; about 1 tbsp. per sandwich. 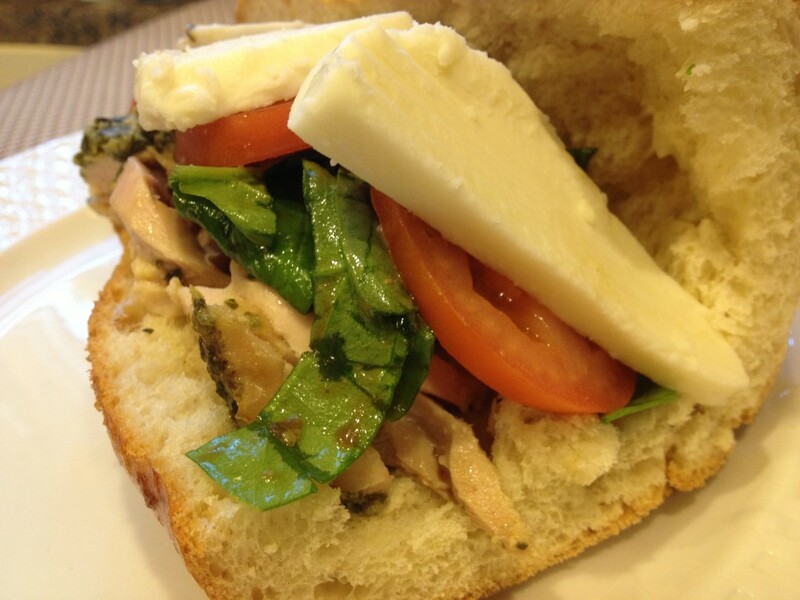 Layer the chicken, mozzarella, then tomatoes. Season tomatoes with a small pinch of salt and pepper. Then add the spinach. Repeat with remaining bread. 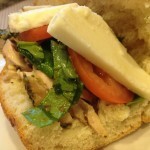 Yum, our family loves sandwiches for dinner, especially during those warm summer months! 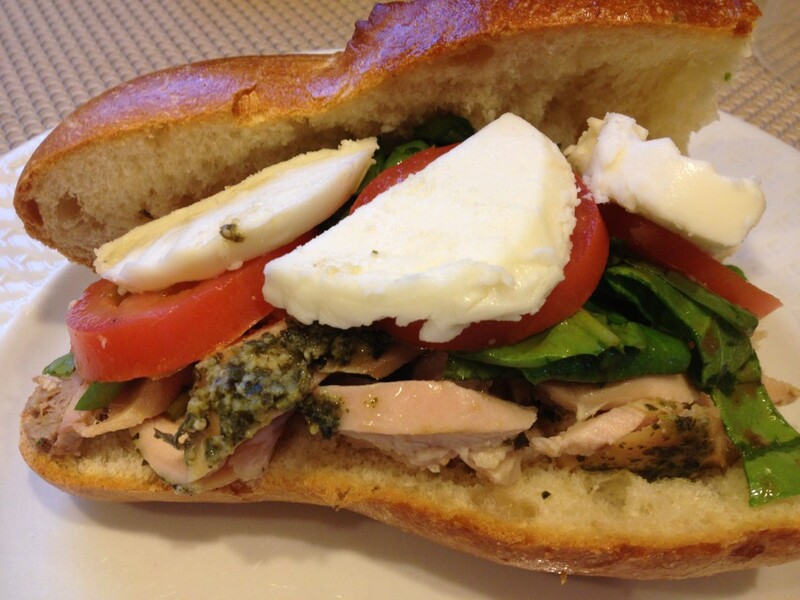 These sandwiches look wonderful and I love the sound of this chicken pesto with all these veggies.